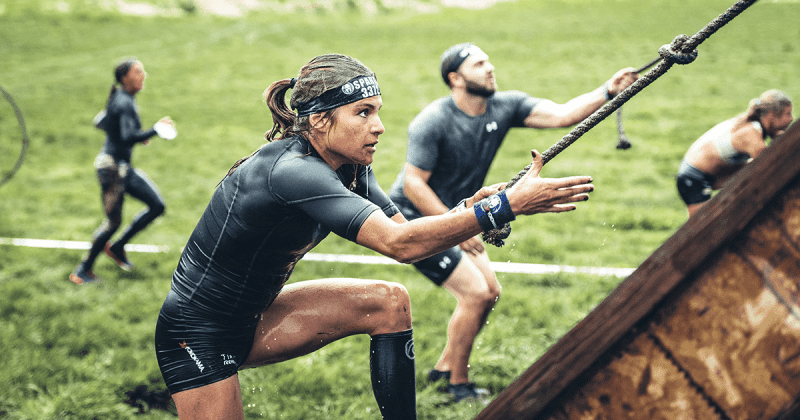 A great way to challenge your fitness in a completely new setting, here is why you should do a Spartan Obstacle Course Race and how to succeed on race day. 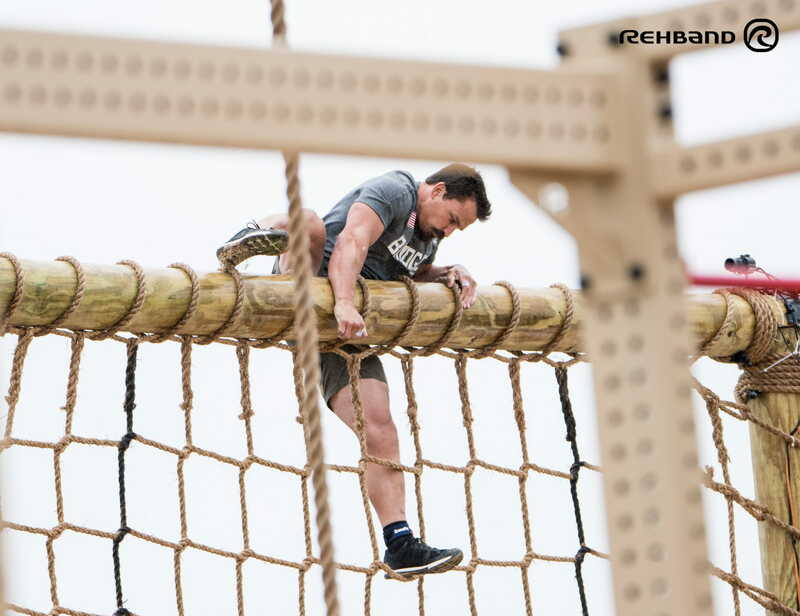 Spartan Obstacle Course Races take your fitness out of the Box and into a totally new realm. The combination of running and conquering an assortment of rope swings, water pits, tunnels, walls, barricades and many other objects is both an enjoyable and challenging achievement for anyone that enjoys pushing their limits and enabling their full potential. Especially with this summer weather, there has never been a better time to get out into the wilderness and challenge yourself. Check out Rehband athlete Faye Stenning in action below and get inspired. To perform well you have to prepare properly and execute on race day. These 10 tips will help you do both, and ensure that you cover all the important points to help prevent injury as well. Ryan Kent is a Spartan Pro Team Member and Faye Stenning is a Professional Obstacle Course Racer. Both are Rehband ambassadors, and these tips from them will help you to improve. Ryan Kent spends a portion of the year simply building his cardiovascular ability through running, “typically, I spent winter months running lots of miles”, so make sure you add monostructural workouts into your training. Faye Stenning likes the quote “Be stubborn about your goals but flexible in your methods”. This is a great way to look at your training. Faye recommends working on grip strength so that it will be easier to navigate the obstacles that you must face in the race, especially when you are fatigued. Here is one of the workouts she uses. When it comes to OCR, strength will help you to perform well on each respective obstacle. If you are stronger then you will find everything to do with climbing, flipping, grabbing, jumping and pulling much easier. Work on this in traditional ways. Squat, bench, deadlift, press and lift heavy objects, build this gradually over time. This will also help to improve your mental toughness as well (more on that later in the Editorial). The right gear is important to help you get across the finish line. Protecting your joints is a must. 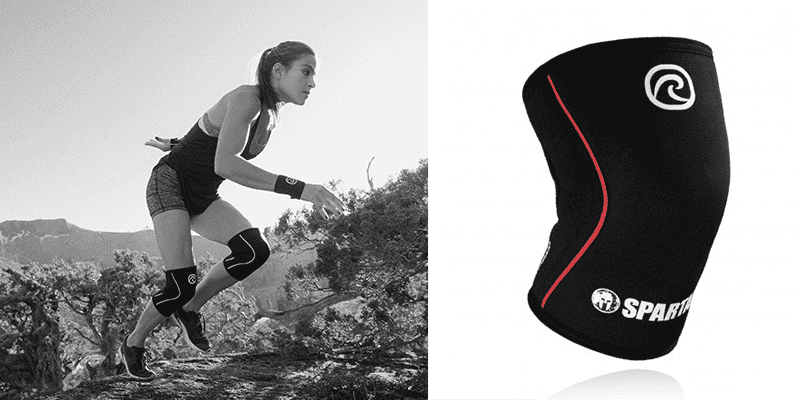 Knee Sleeves are a great way to keep your knees warm throughout the full race and reduce the risk of injury. They will also shield your ligaments and joints from the stress of steep downhills and relentless pounding of running on rough, uneven surfaces for longer distances. 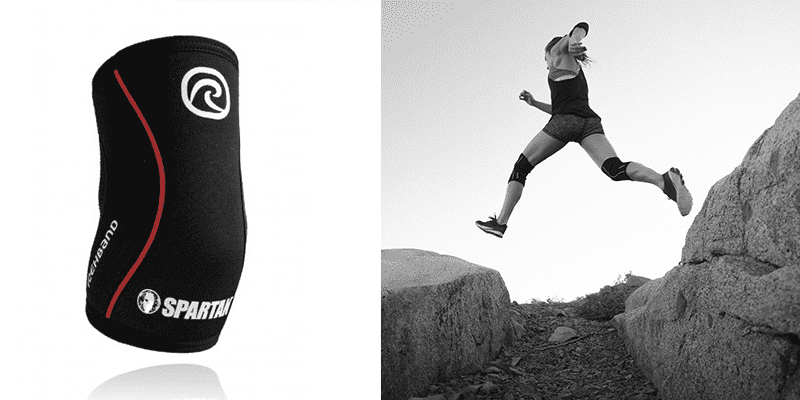 The Rehband RX Spartan™ Edition Knee and Elbow Sleeve are valuable additions to ensure you run a fun and successful race. Most OCR courses tend to be roughly around 80% running and 20% obstacles. This means that if you want to do well then you need to have a good base of endurance and decent running technique. It’s also a good idea to build up your endurance with longer runs. If you have the chance, go for trail runs over hills, mountains and rough ground, as this will help your body adapt to tougher conditions. All your attention is the on the 100m sprints. This workout has a total of 9 of these 100m sprints. Focus on your form. Your intensity should not be 100% max effort. Back off on your intensity (97-98%) to retain your form. Watch how others tackle objects and see what works. Take the best ideas and apply them to your competition races. 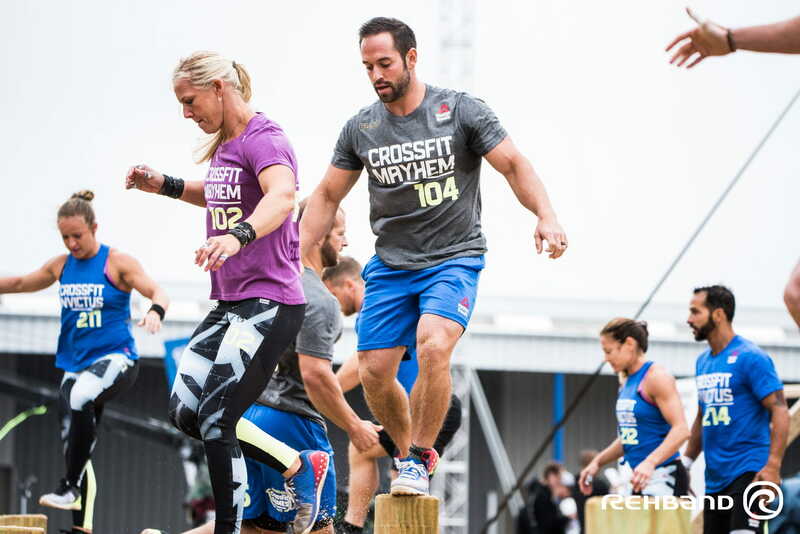 When Rich Froning was interviewed about the O-Course at The 2017 CrossFit Games® about his strategy, he simply replied that he watched where other people messed up and made sure not to make the same mistakes. Clear and effective advice. “Taller is better but when other people fall down it helps you too.” Rich Froning. You should also train specifically for certain objects. check out this complex Ryan Kent uses for improving his skills on the monkey bars. For objects such as the Monkey Bars, Twister and the Multi Rig, elbow sleeves are a helpful addition to protect your arms and movements. Training and competing can be brutal, so as well as protecting your body during each race or training session, you need to recover effectively afterwards. In this quote Josh Bridges explains how seeking the difficult route will help to make you a tougher and more resilient individual. This idea is constantly drilled into you through CrossFit® , and transitions perfectly across to OCR. “Once you start to make the hard decision every time you start to feel comfortable with the uncomfortable and enjoy what you’re doing. You also become a better athlete,” Josh Bridges continues. With each race you will need to climb, hang, swing, run and move your body in many different ways across, through and over an assortment of objects. If you aren’t flexible, or there are certain movements that you really struggle with because of mobility issues, then you will not perform to the best of your abilities. Add regular mobility work to your training, because the payouts are well worth it! Prevention is always the best cure. Use Rehband products RX Spartan™ Edition Knee and Elbow Sleeves to prevent an injury before it happens by supporting the natural movements of your body. They will also help against the inevitable knocks, bumps and falls that inevitably occur on the course. Correct movement patterns are essential for Spartan Obstacle Course Races. As mentioned above, roughly 80% of each course is running, so you need to work on your technique and make each movement as efficient as possible. This will help you to preserve energy and perform well.